How Do Your Influence and Persuasion Skills Measure Up? As a leader what you say and how you say it has more influence in your team, division or company than almost anyone else. How do your influence and persuasion skills impact people within the organization? When was the last time you thought about your work style and how it differs from the company culture you are trying to create? To successfully manage others, we must first manage ourselves. 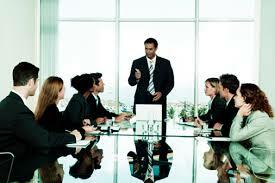 If you are towards the top of your Organizational Chart, you have power and influence. And, your beliefs and actions will greatly influence the direction of your company. Asserting – Wanting your ideas heard and insisting they are adopted. Convincing – Justifying your ideas with logic and rational in order to convince others to agree with your viewpoint. Negotiating – Reaching outcomes that serve greater interests through compromise and concession. Bridging – Creating partnerships by listening and understanding others. Inspiring – Speaking in favor of your position and exciting others with the possibility of adopting a shared purpose. Do you have a dominate style? Depending on the situation, each style is effective. However, many managers tend to favor their predominate style and make the mistake of using a one-style-fits-all approach. To better understand your work style, start with self awareness. What style do you typically use to influence others? Are your actions in sync with your company culture? And, do you mirror the work style that you expect from others? Do you encourage creative, out-of-the-box thinking or do you push your ideas onto others? Do you enjoy a casual working environment or do you prefer a more structured and rigid workplace? Do you expect work to be done only one way or do you allow others to take the lead so that new and surprising results can be obtained? Do you thrive on rigid deadlines and expect your employees to do the same? How well do you delegate responsibilities to others?